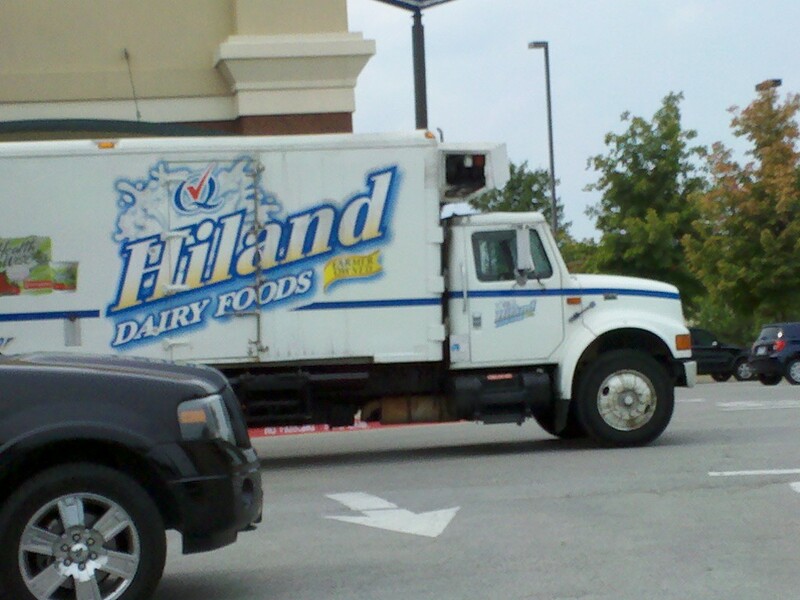 While running errands this morning, I spotted the Hiland Dairy truck making a delivery to a local coffee shop. Seeing the truck reminded me of a question that I was recently asked while giving a tour of our dairy farm--Where do we sell our milk? As members of Dairy Farmers of America Cooperative, our milk is marketed and sold by the cooperative. 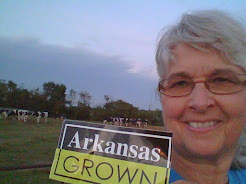 Our milk actually goes to the Hiland Dairy plant in Fayetteville for bottling. If you buy Hiland Dairy milk, you may be drinking milk from our farm or another family dairy farm in our area. Hiland Dairy actually started in 1938 in Springfield,Missouri, by two men and a fifty cow dairy herd. The Hiland business was sold to Prairie Farms Dairy,Inc. and Dairy Farmers of America,Incorporated, in 1979. Currently, Hiland has eight manufacturing plants located in Missouri,Nebraska,Oklahoma,Kansas and Arkansas. Hiland's wide variety of dairy products are endorsed with the Quality Chekd trademark (the "Blue Q.Red Chek") that assures consumers are getting the best in fresh,wholesome and delicious dairy foods. You can find more information about Hiland Dairy, great recipes, and coupons at http://www.hilanddairy.com/. 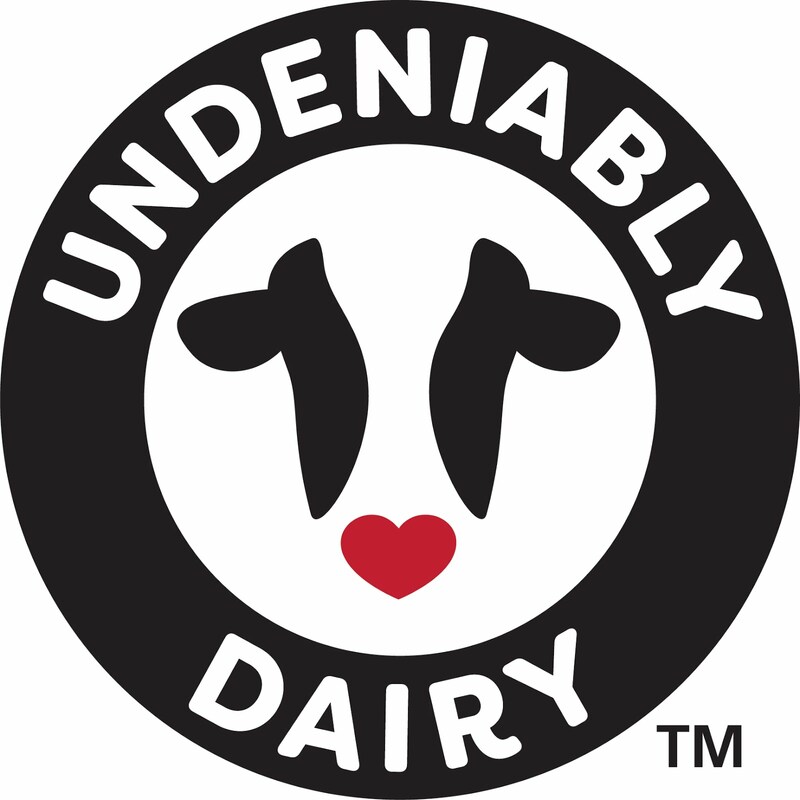 It takes quality milk for quality dairy products--from our farm to your table!